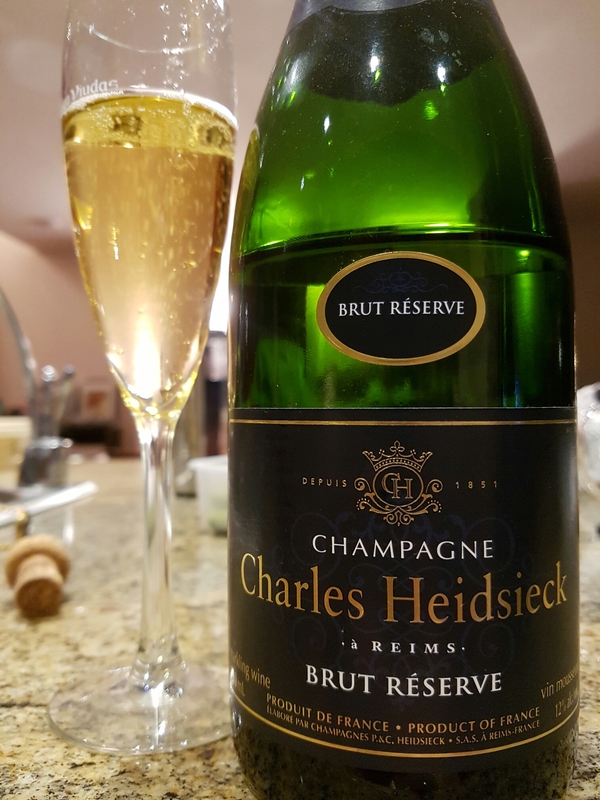 Charles Heidsieck Brut Réserve 2008 Champagne (Reims, France) | Justintoxicated. -Happy 2017! Another year, another 365 days of tasting to look forward to. May this year be even more prosperous and joyous than the last! Visual: 2008 Vintage. Pours clear golden yellow with the typical torrent of large bubbly clustered streams. Lively and gorgeous. Summary: The Charles Heidsieck certainly has a unique pronounced peanut buttery-kinako presence that is both delicious and interesting. Lots of dryness backup up by the lively fruitness and firm acidity. There’s nothing quite like Champagne and rightly so.